PhD THESIS | RUN! RUN! RUN! For ongoing publications, click here. For PhD thesis, read on. 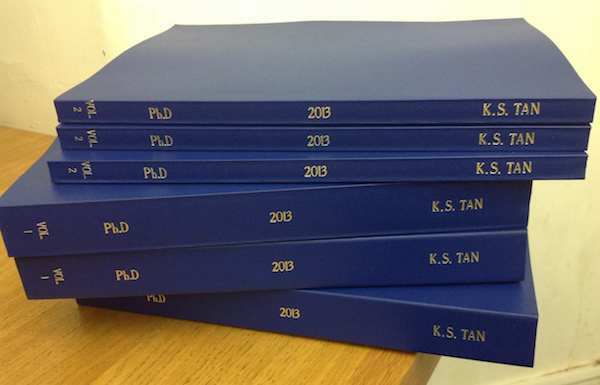 Click to download Kai’s redacted PhD, The Physical and Poetic Processes of Running (27MB). 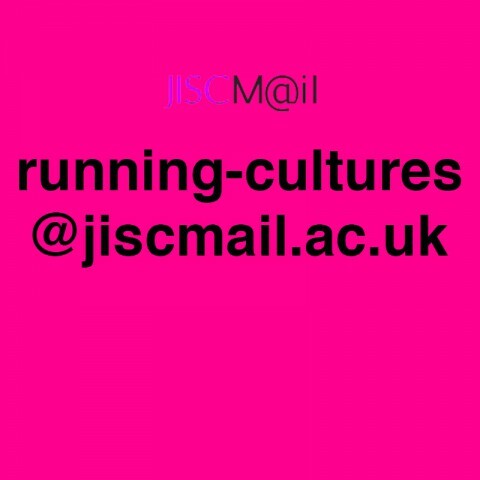 Examining the physical and poetic processes of running, Kai proposes that we activate running as a playful toolkit to re-orientate the way we experience, think about and impact the city, our relationship with the authorities, the internet-mediated reality as well as the way we think. ‘Trans-running’ was the term Kai coined to describe this new running approach. 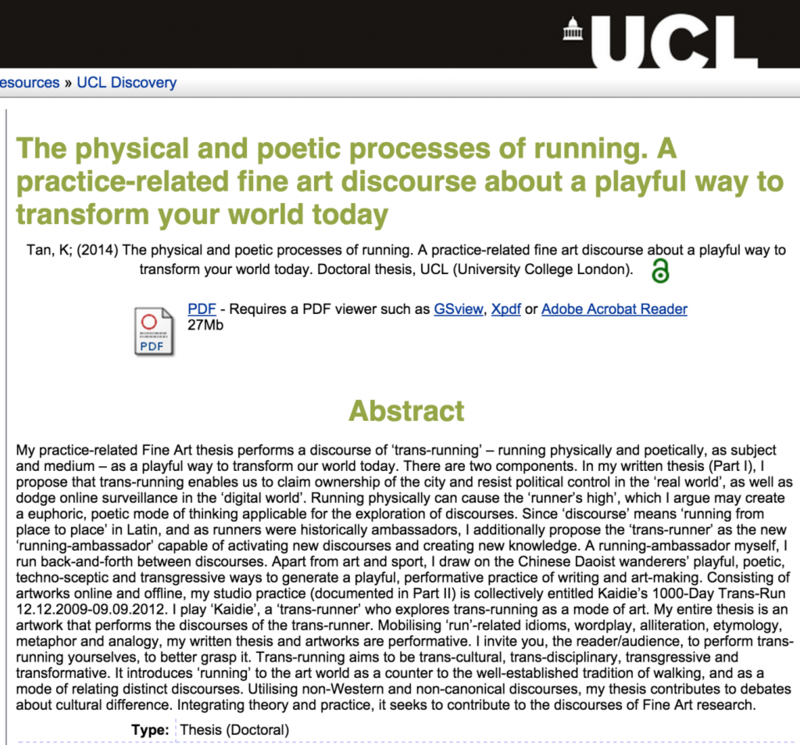 The piece not only explores running as a subject matter but methodology and practice, and not just as an activity, verb but a metaphor, concept, noun. The writing style self-reflexively mobilises run-related puns and idioms throughout. 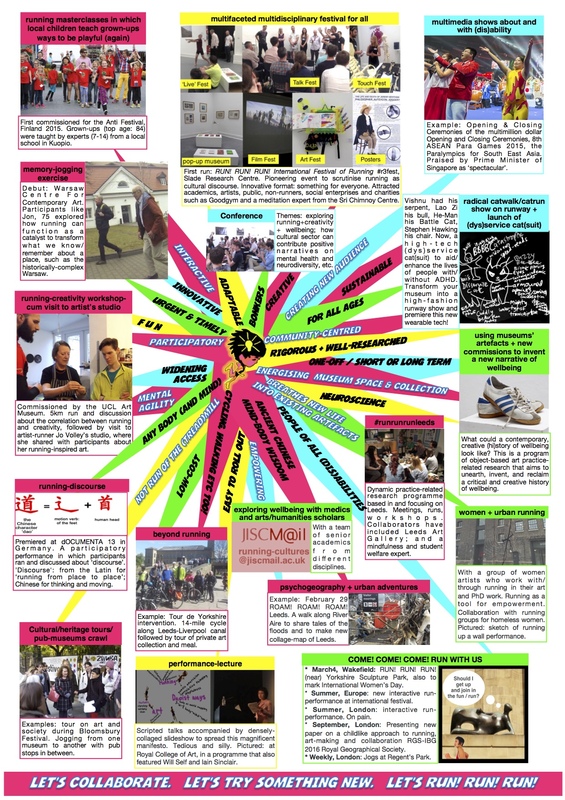 Ideas are also worked through ideas by ‘running back-and-forth’ a diverse range of thoughts including digital aesthetics, Daoism (Taoism), running (its neuroscience, histories, biomechanics), travelogue, Situationism and so on. 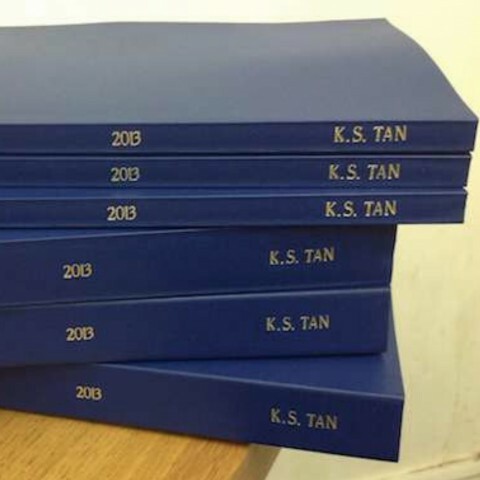 In its last incarnation, the thesis has about 100,000 words (including appendices) and 323 pages. 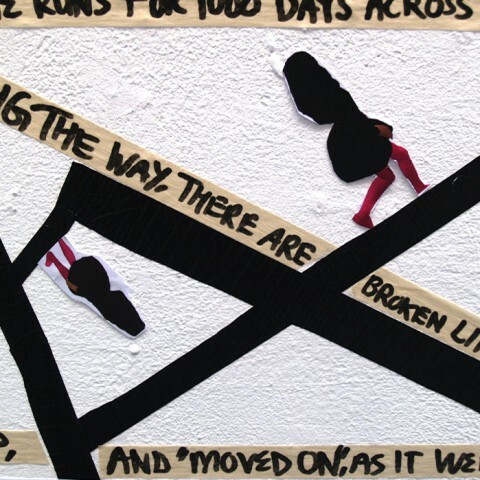 The thesis will be completely renovated and transformed into a book, entitled RUN! RUN! RUN! 20 Ways Running Can Change your World. Kai’s Fine Art PhD (2009-2013) was undertaken at the Slade School of Fine Art. It was funded by UCL (the Overseas Research Scholarship and the Graduate Research Scholarship) as well as National Arts Council of Singapore. This written work (70,000 words, 6 chapters) complemented Kai’s studio practice, which comprised of a large body of art works that ran the gamut of genres and medium including durational performance, film, performance-lecture, photography, GPS drawing, (social media) art and so on. Kai’s Supervisors were Professor Susan Collins (Director of Slade School of Fine Art), Dr Sharon Morris (Deputy Director and Head of Doctoral Research), as well as Mr Jon Thomson (Slade Reader; of Thomson & Craighead). Her examiners were Dr Alan Latham (Senior Lecturer, UCL Geography) and Dr Peter Ride (Westminster). Over the 4 years, Kai has shown/performed/talked about different versions of this research in 63 exhibitions/publications/presentations. The following is a list of contents of the thesis. Each chapter ends not with a conclusion but ‘transition’. As of 2015 February 11, the thesis has been downloaded for 395 times from the UCL online depository. It has been uploaded since May 2014, and seems particularly popular for scholars (or computer robots?) from USA.